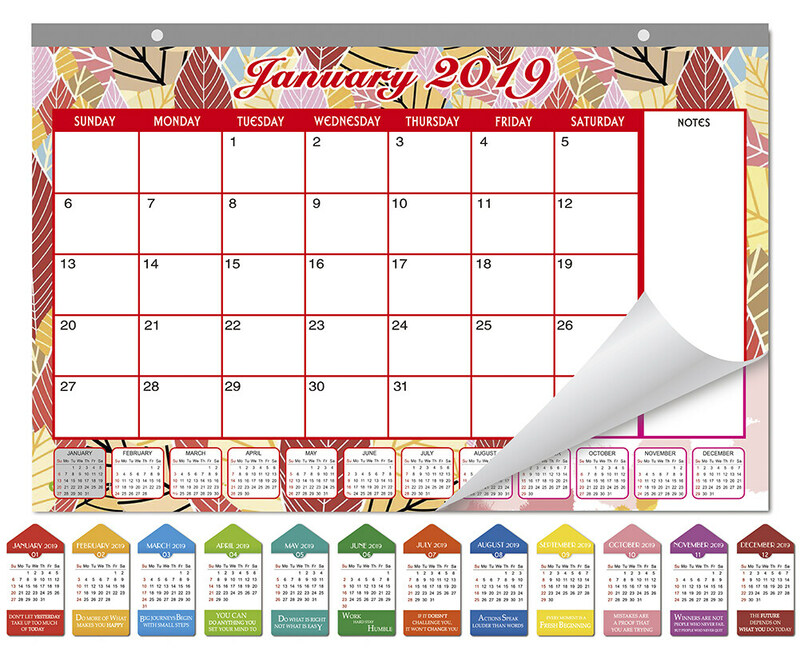 Monthly Desk Pad Calendar Size: 16"x11" - 2019 Desk Calendar runs from October 2018 through December 2019. Large,ruled daily blocks with generous writing space provide plenty of room for notes. Each block is 2" x 1.6"，12 monthly inspirational calendar note pad for bonus. 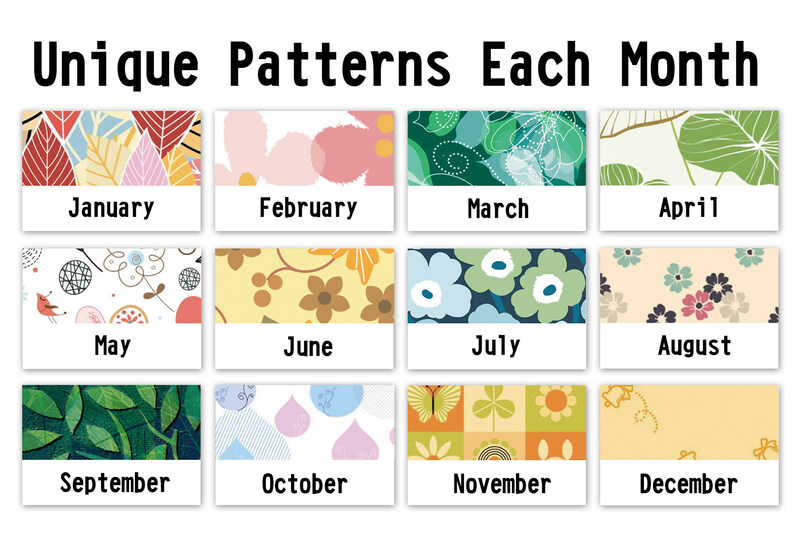 Unique designs each month - 14 patterns rotate throughout calendar.Each page is perforated to tear away easily enable you to move onto the next month with ease. 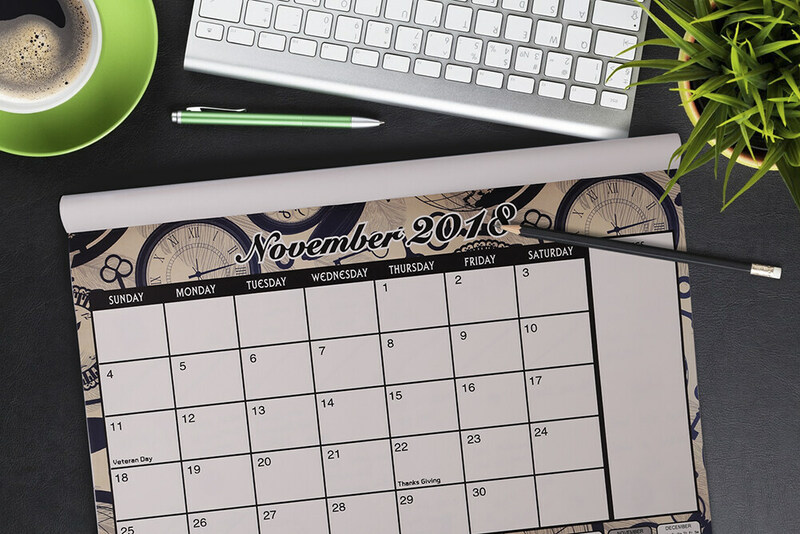 One month per page layout lets you view all your monthly plans at once.Julian dates included. Keep track of deadlines, special events and more with clear organization and professional style. 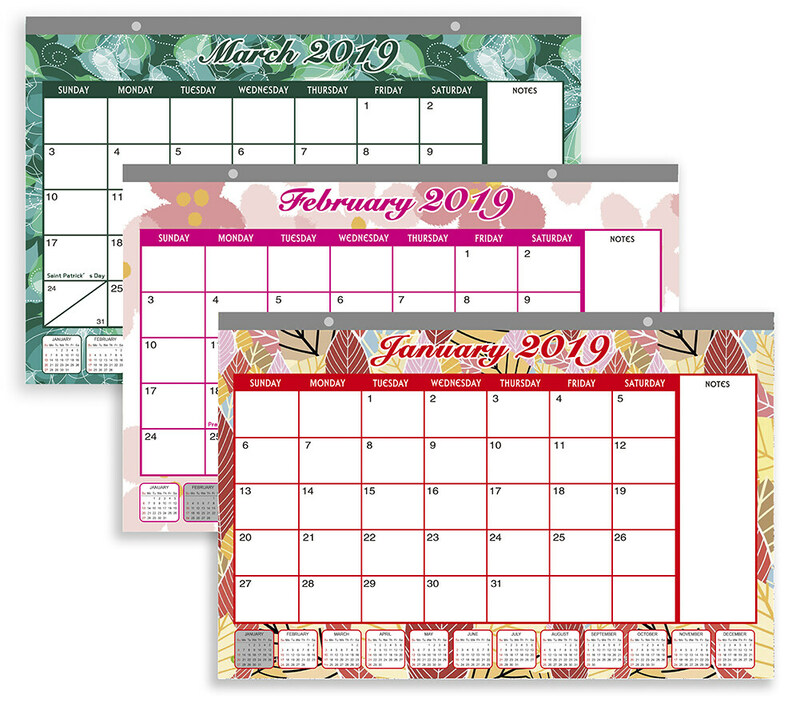 2019 & 2018 Horizontal Desk, Wall - Large Calendar,perfect sized floral monthly notepad to keep on your desk for home & office use! 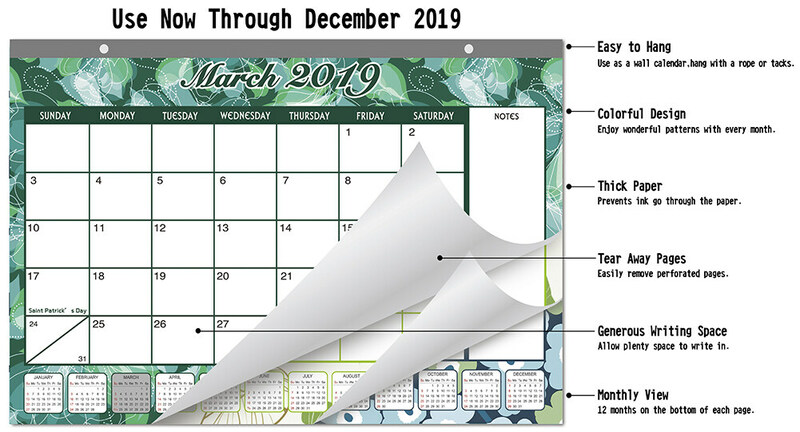 These desk pads are made of tear-off sheet are easy to use and can help you to keep track of your tasks for the month. Each page has lots of room for appointments. Each month features a fun and colourful illustration - perfect for brightening up your work space! 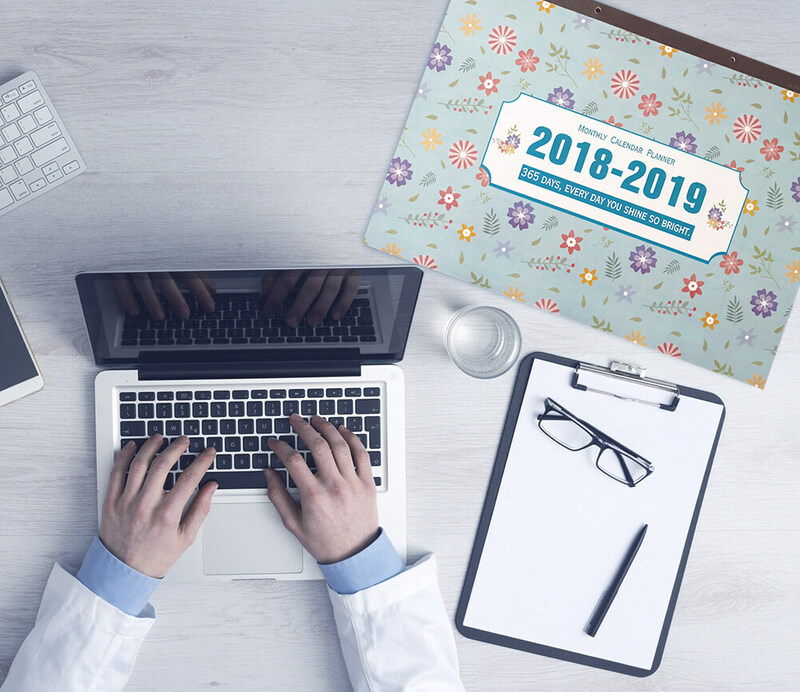 The 2018-2019 Wall Calendar is the perfect printable calendar to fill your daily needs. 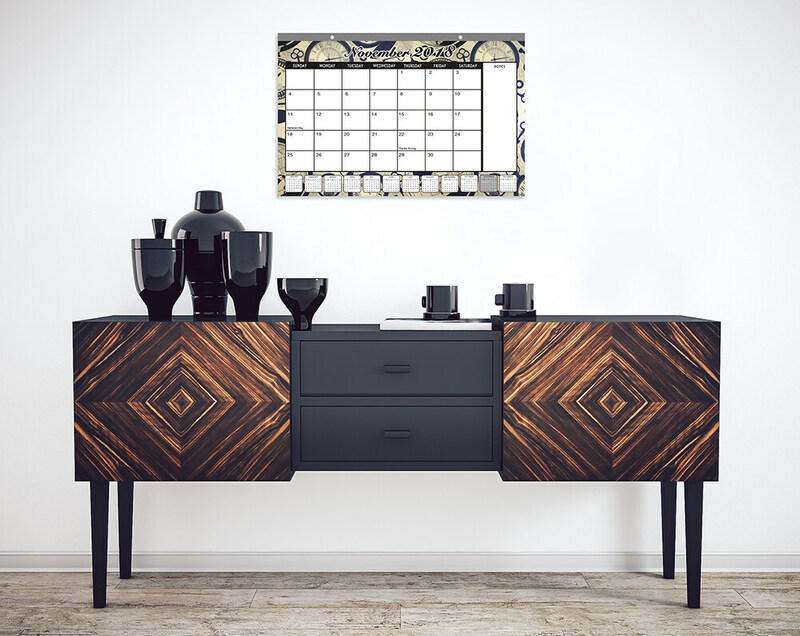 With enough space to fill in your necessities for each day, the landscape calendar will be your go to for the upcoming year.Just hang it above your desk or post it on your fridge and stay on top of your schedule.